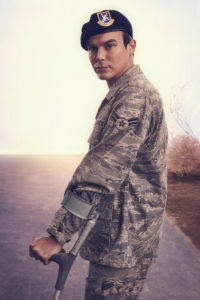 If one were to pick a breakout character in The CW’s Roswell update Roswell New Mexico, the first name to come to mind would probably be Michael Guerin who is portrayed by another Michael, Michael Vlamis, on the series. As half of the “Malex” supercouple who is now also having some things happening with Heather Hemmens’ Maria, there’s a lot going on for Michael, especially tonight as Alex (Tyler Blackburn) learns more about what Michael is up to, as this alien opens up quite a bit. We were able to speak with Michael Vlamis in anticipation of tonight’s show and got some intel about the ships, the experience, and the experience of being Vlamis. Hopefully the Vlambase will enjoy this one! KSITETV’s CRAIG BYRNE: In the trailer for this episode (seen at the bottom of this article), Michael takes Alex to his bunker. Can you talk about that? MICHAEL VLAMIS: I think the interesting part of the whole show is that there are these major secrets that have been unraveled as the season progresses. But I think it’s also kind of like a metaphor for what all the characters are going through, because all of our speakers are coming out, right? And in that interaction you saw between Alex and Michael, outside the RV, where Alex finds out finds out about Maria all that, I mean, it’s very clear, right, that I’m opening up, and I’m ready to just get this off my back and let him know what it’s going to be. So I think Michael has finally just realized that whatever is going on, the aliens cannot handle it alone, and the more help that they get, and the more honest they are with people closest to them, the more support they’re going to have. He’s unraveling. This is a time that he needs the support. It’s the same kind of thing of what I did with Liz. Take her to the lab, door off, show her everything. I do the same thing with Alex. I know the fans are hoping that there’s like some crazy hook up down there or something, and I’m not saying that sparks aren’t gonna fly, but you definitely see that it’s like two ex-lovers that maybe “will they be together? Will they not?” but who are having some common ground to come together through this, you know, alien conspiracy or whatever it is. But the real question is do they hook up down there? You do get to learn some backstory, too, which is cool because I had to tell him what happened to me once I ended up in foster care, and we have a good moment around a bonfire outside my trailer, so we definitely become closer, so whether I’m going to tell you if we hook up or not, I think it’s important for people to know that we definitely become closer. If you had asked me this before the season started, I was more worried that we weren’t doing the original [Roswell] justice because people were hating on the fact that I was bisexual in the show. Absolutely hating on it. And now people are people are commenting saying “I can’t believe he’s now with Maria. Like, what about Malex?” So I wasn’t worried. But I think it’s just funny how everybody kind of wants what they don’t have, and then once you have something you’re like, you’re kind of beholden to a way that people are making you feel, but there has also been a good response to it. So I wasn’t worried, but I kind of… I wasn’t expecting people to be against it. But that just shows Tyler [Blackburn] and my commitment towards one another has paid off. Aside from the obvious physical differences, what does Maria offer that Alex might not, and vice versa? Oh, man. Aside from the physical differences? That’s pretty hard to talk about when you’re talking about Heather Hemmens. She is such a beautiful woman. But I will say it’s kind of like, you know, me and Alex, a lot of our scenes… we bust each other’s balls a little bit. It’s always out of a place of maybe like fear of what the love could have been. so we’re going to be hard on each other from from the moment in the flashback where I took his guitar from the music classroom and he kind of comes at me. You notice in the show, I have that with Heather [Maria], so much. I think I like someone kind of putting me in my place, because Michael Guerin is a character that’s all over the place. He doesn’t even have control of his powers like how some of the other aliens do. Maria is very feisty. She’s a free spirit. She tells it how it is. And Michael Guerin needs somebody like that to keep him in check. A lot of fans reacted well to Michael and Liz interacting recently. Can you talk about that and what it was like to work with Jeanine Mason some more? Oh, man. She is the best. I feel like that girl is like my spirit animal or something. Jeanine just gives so much. I mean, everybody in our shows gives so much. I think that’s why the chemistry has been so palpable amongst the characters on the show, though we get along off-screen as well, but working with Jeanine… first of all, I’m always impressed because she has the heaviest dialogue every day. You shoot a 12-15 hour day, and then you go home, and you’re like “damn, me and Jeanine have huge scenes tomorrow” and she already has so many big scenes. So there’s this level of professionalism that Jeanine has which she carries proudly to be number one on the show, being a female lead. I think working with Jeanine just always inspires me and she’s not afraid to take risks. We are able to riff on each other so much and just be joking around having so much fun, because we are so open and you know, we push each other when we’re working together, and I’m not gonna hold back on her. She’s not gonna hold back on me. And I think that’s what makes it so much fun. Assuming Roswell New Mexico is picked up for Season 2, and I am thinking it will be, are you ready for Comic-Con? I’ve actually never been to Comic-Con. So all I don’t know it from a person who’s there as a celebrity, or a person who’s there just an audience member. I really don’t know what to expect. [I’ve heard about] the size of it all from what my friends who have been in the past have told me. Is there anything particular I didn’t ask about Tuesday’s episode that you wanted to tease or that you were told to tease? I will unveil that this week. You do find out what is under there, and you find out what Michael Guerin has been working on this whole time. From the moment that you saw him in the trailer in the pilot, when he touches that piece of glass that moves… all of that comes together in this episode. How did you feel when you saw Carina’s tweet [showrunner Carina Adly MacKenzie] about shipping Michael with everything and everyone? My God. I think even before I saw that, I saw some random person said that I would have chemistry with a wall, and I thought that was hilarious. I give so much to everybody because I like to make people feel welcome. I like to make people laugh. I give all of this, and sometimes I don’t have any energy for myself at the end the day, but I think that’s probably my strongest suit as an actor. They know I just give so much. When someone is saying “thank you” to you repeatedly or being very tired, you’re usually going to reciprocate with more kindness, right? Yeah. I think it’s really funny what they’re saying, and I’ve tried to make sense of it. Somebody asked me one if I practice my stares in the mirror or something, for, like, chemistry, and no, I’ve never practiced anything like that. I’m learning what my good side is now that I’m watching to show, but I never practice anything like that. At the end of the day, it’s just that I try to give a lot to everybody else, and I’m fortunate that I have a cast that gives back. 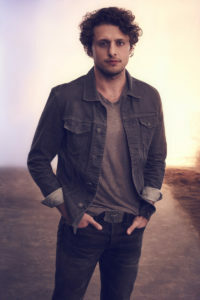 Roswell New Mexico “I Don’t Want To Miss A Thing” airs TONIGHT on The CW. Some photos from the episode can be found here; a trailer can be seen below. I actually want Michael with Maria. I’m the opposite. Malex started and I kept thinking….What about Maria? I respect Malex fans, but no, Michael and Maria all the way!!!! !